In our personal or professional lives there are things we all want to do that are just not getting done. Whether it’s learning a new skill, taking up a new activity or big things like reinventing ourselves to fit a new market, our default effort into doing these things seem to be some sort of goal setting or time management method. Unfortunately lot of goal oriented problems are not time management issues, they are motivation issues. When you’re not motivated, a new planner pad or to-do app is not going going to help. 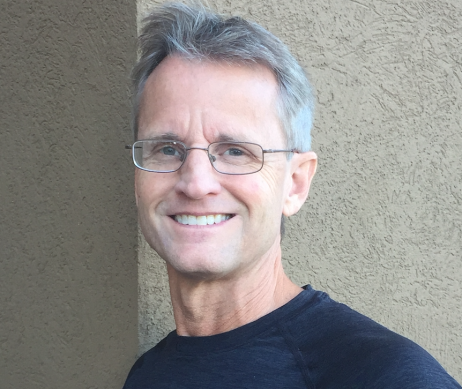 On this podcast, I talk with Jeff Haden. Jeff is contributing editor to Inc, a top a LinkedIn Influencer – making him a part of a an exclusive club of 500 of the world’s foremost thinkers and innovators – and the author of The Motivation Myth: How High Achievers Really Set Themselves Up to Win. When it comes to motivation, we are going to address two broad bucket applications: you have a desirable goal / task you want to achieve OR you have an undesirable goal / task you need (have to) to achieve. It doesn’t matter which bucket your goal falls into, the truth is, whether we want to do something or not, many of us have a hard time starting, or, once we start, a harder time completing it. Many of you set new year’s resolutions that you haven’t even attempted to reach. According to Jeff, the reason has to do with how we prioritize a goal. Most of us keep our eyes firmly fixed on the “prize”: the sixty pounds to lose, the 26 miles of a marathon, the 50,000 word novel we’ll have finished writing. We become fixated on the dream of what we’ll earn at the end of the climb, and compare each day’s results to that big payoff. Annie Duke (interview here) in “Thinking In Bets” has a name for this: Outcome Junkie. Jeff advocates for more of a process orientation. He suggests we redefine achievement to be more inclusive, so that even if you don’t reach the end goal, that process, if you’ve work it, will still benefit you with takeaways you didn’t have when you began. You will meet people you would have never met. You’ll make connections that you’d never would have made. You might find some other interests that you never knew you would have. Jeff has not only met with great people who have achieved their dreams, such as tennis star Venus Williams, but has spent untold hours applying his motivational principles to himself. What he found? A goal isn’t worth a hill of beans if it doesn’t inform one’s process. I’ve read a lot of motivation and rah-rah self help books over the years. Although many of them say the same things, any variety in the motivation model seems either to be that feelings lead behavior, so change them and behavior you want follows or feelings follow, so change your behavior and let your feelings catch-up. Both models are experientially true. But what happens in the first model when, although you absolutely need to do a thing, you are just not motivated to do it? Normally procrastination follows and the thing you need to do is delayed, putting more pressure on you. Worst case scenario, nothing gets done. Jeff rejects the first model, in part at least. Feelings-based motivation can move you but you don’t have to wait for it. While many people ascribe to the “dream it, believe it, do it,” goal achievement philosophy, Jeff opts instead for creating cycles of motivation fulfillment. In our conversation Jeff goes into detail on how an emphasis on action brings about a result, which in turn breeds motivation for more action and thus more results. He goes into detail to show how strategic, action-based planning can help someone struggling to achieve results in both areas described above: those who have tasks they want to complete and tasks they don’t want to be doing, but need to get done nonetheless. Jeff gives some super good advice on how to reinvent yourself. Want to break into an industry you have no experience in? Listen to Jeff’s backstory, he walks me through how he did it. Jeff emphasizes that his motivation techniques can help anyone, no matter what their starting place might be. Having spoken to numerous high achievers like Richard Branson, he realizes that they are all merely humans like us, who used planned motivational strategies to push themselves far. Therefore, Jeff asserts, we can do the same. So, tired of starting and then giving up for lack of motivation? Ready to get those new year’s resolutions back on track? Click on the podcast above to access Jeff’s tips for beating procrastination and other motivation sappers, so that you can finally cross items off your to-do list. 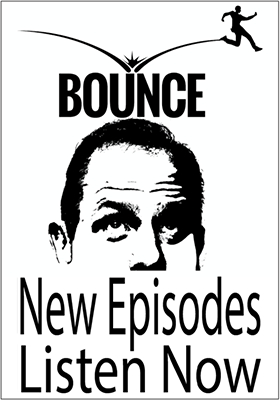 If you like this episode, please subscribe to “Bounce, Conversations with Larry Weeks” and review wherever you get your podcasts. Not sure how to subscribe, click here for instructions how.